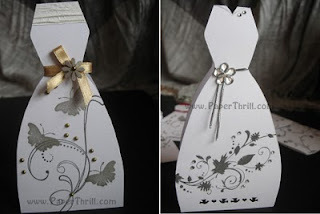 This handmade wedding invitation is perfect for those looking for a minimalist type of design. 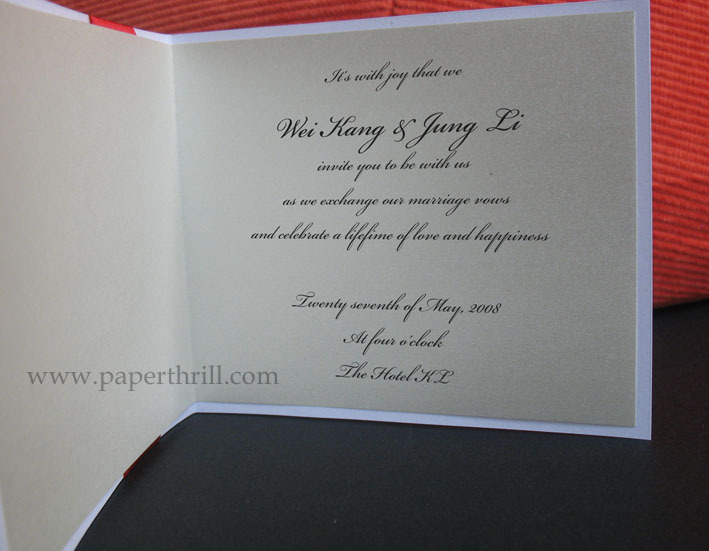 The wordings inside are kept short and sweet, and fits perfectly within this small package. A luxurious satin ribbon is tied in a bow in front of the card and topped with a faux diamond daisy flower. 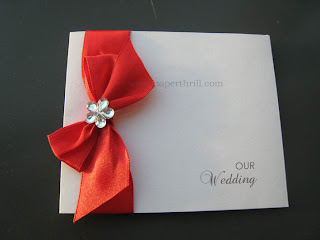 The words - 'Our Wedding', is stamped at the bottom right. 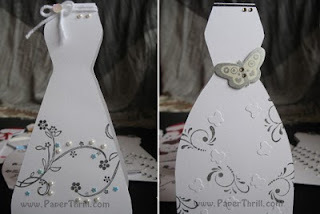 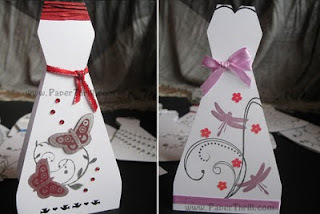 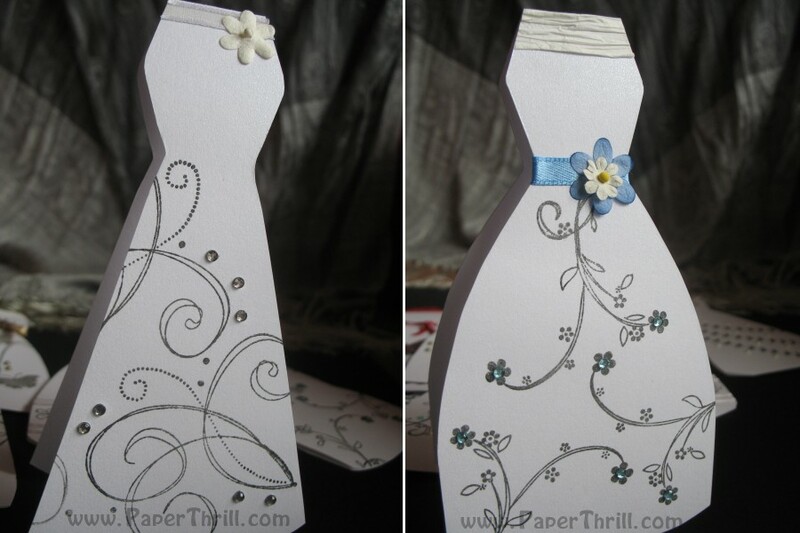 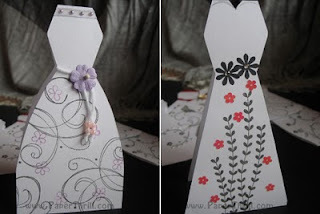 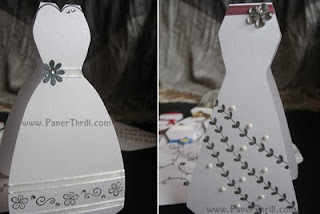 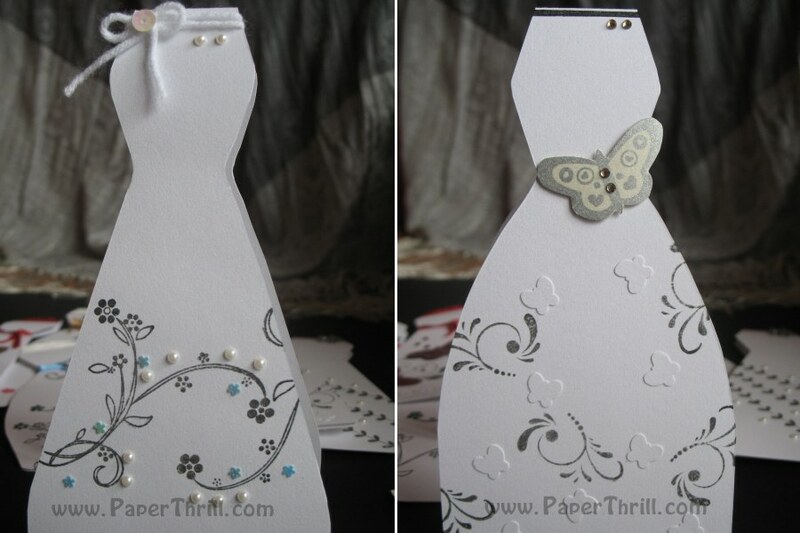 Invitation wordings are printed on a separate inlay inside the card.